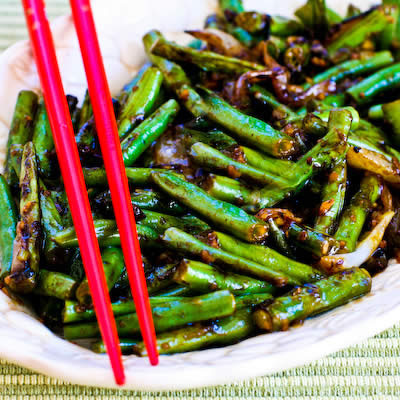 There's nothing like fresh green beans and the World's Easiest Garlicky Green Beans Stir Fry is a great way to cook them! Beans used to be one of those plants that didn't get too much respect from me in the garden. I found them hard to keep picked, and truthfully, sometimes I ended up with overgrown beans I had to throw away. But all my thoughts about beans changed after I made some fresh green beans into this World's Easiest Garlicky Green Beans Stir Fry. Seriously, I could eat beans every day if they were cooked like this.